If you are a sports aficionado, you may be able to parley that into four nice talks for a free cruise. Here’s my idea. Right now basketball season is in full swing. I live in Golden State Warrior country and we won the NBA title last year…and are steaming to do it again in 2016. Steph Curry is a small player, yet he was MVP for the league last year and is sinking 3-pointers like free throws. 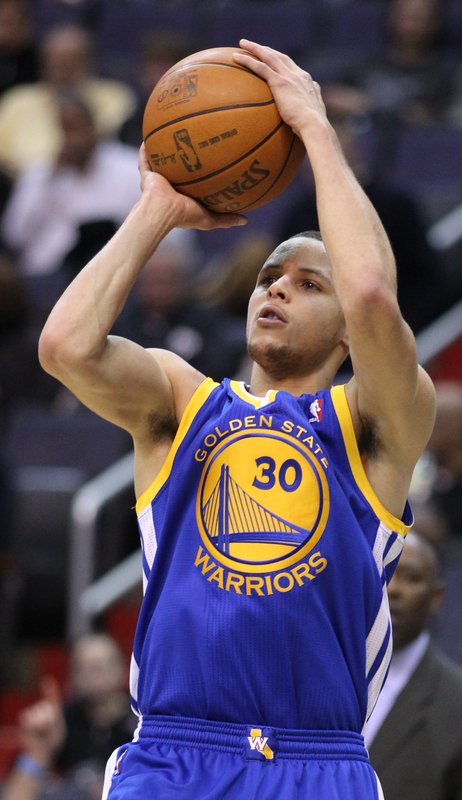 Steph Curry – Best shooter ever! So, you can talk about the evolution of basketball – or baseball – or football – or whatever sport you know a lot about. Or can write a term paper about. Offer a seasonal talk – this would endear you to the agencies. Do you have the credentials to be the speaker? Played college ball? Been a long time fan who studied the game? Go over who invented the game. What was going on in the world then? What made it a big success? How has it evolved over the years? Then talk about the great players and what they did to overcome their obstacles. What motivated them? Just do three players. That’s a key to speaking … audiences get burned out if you go for more. Promote the Halls of Fame. Then talk about international acceptance of the classic America sports. Olympics – the Dream Team. How has sports brought the world together? Finally, what do you see as the future of basketball and other sports? Rules change. The 3-point shot is mainstream. Players now camp out at the 30 ft circle. Any plan to give four points for a drop-kick? Raise the basket to 11-feet? Prohibit “one-and-done” college players from going pro after just one year of school? How about college players sharing in the huge revenue that TV brings. So you see, with a little thought, you can come up with four InfoTainment talks. We’re pretty good at this. If you want more tips, continue to read this blog and join the crew. What do Basketball and Cruise ship speaking have in common?